festivals in Europe, the USA and in Japan. Although Ai is a skilled cembalist too, she considers the organ her main and preferred instrument. the guidance of Teruhisa Fujieda, and subsequently moved to Germany, where she was tutored by Martin Haselböck at the Musikhochschule Lübeck. She attended numerous masterclasses with renowned musicians such as Lorenzo Ghielmi, and received her Master’s degrees in both Organ and Sacred Music with full marks. She is winner of the International Competition of Maastricht (1996) and Lausanne (2002) and she held the position of principal organist at the “Morioka Civic Cultural Hall” in Japan from 2002-2006. Her first CD, “Bach e l’Italia” (Weon Records 2010), recorded at the Andrea Zeni - Organ in the Josefskirche of Bozen, Italy, received much international acclaim. 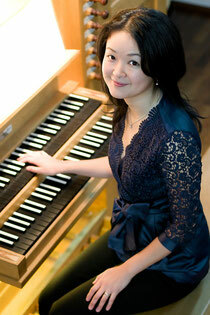 Ai is currently principal organist in the Niklauskirchen of Neumarkt (Italy) and Pontresina (Switzerland). Alongside her activities as a performer, Ai is also a dedicated teacher in Italy and abroad. After obtaining a diploma in organ with full marks in Padua, he specialized in baroque music at Accademia Internazionale della Musica in Milan. He studied with R. Livieri, L. Ghielmi and P. Marisaldi. 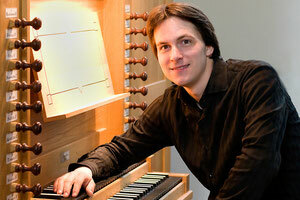 He was a prizewinner at the “G.Giarda Prize” in Rome and won the third prize at the Vth "Concorso internazionale organistico Gaetano Callido" in Borca di Cadore. Alex Gai performs in concerts in Italy and other European countries as well as in Japan. From 1992 to 2005 he was an organist at Chiesa Arcipretale of Cordignano (TV), his hometown. His passion for the organ led him to study in depth the construction aspects of this instrument and since 2004 he has been working at the organ factory “Andrea Zeni” in Tesero. copyright(c)2010 Alex Gai&Ai Yoshida All Rights Reserved.